When you're a parent with a young child and want to go out, dine in peace and actually taste your food, I completely understand you. Being a parent of two kids myself, who are thankfully not in their prime ages of shooting food everywhere but not in their mouths and running around the restaurants anymore, I too have gone through what you're going through. I'll give you a firm pat on the back and tell you that things will always be manageable or even better - I have the perfect place for you! 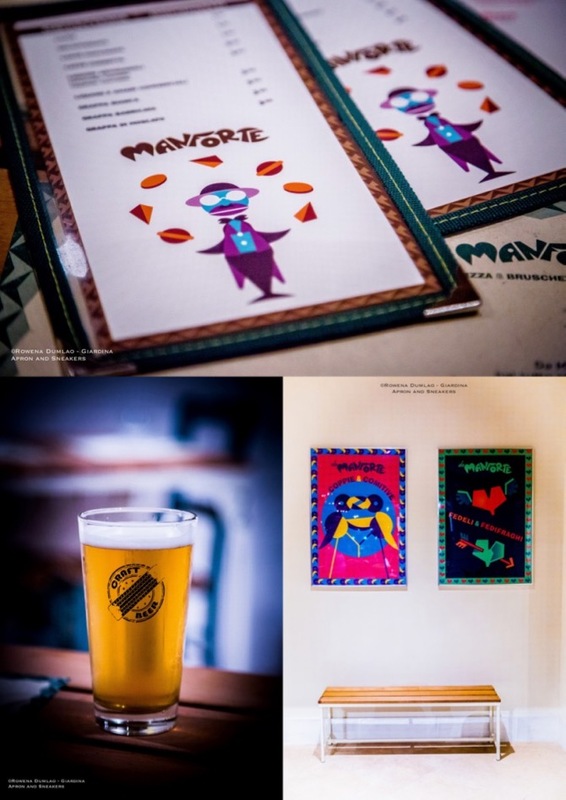 Manforte is a large restaurant that serves pizza, bruschette and burgers (paired with good craft beer too). Its 1,000-square meter space can hold 800 seats both indoors and outdoors and guess what? 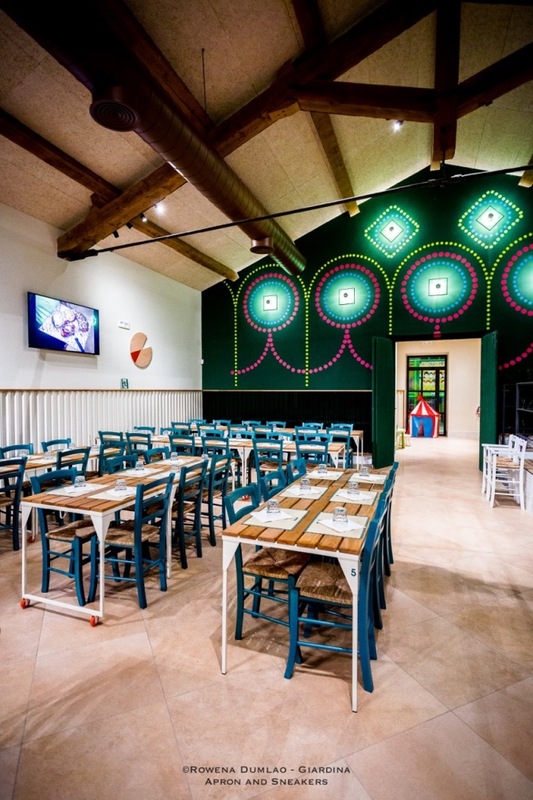 It also has a play room at the end of the restaurant with a door that leads to more outdoor play area that's dedicated to kids where they can play and be entertained by the in-house children entertainer (check availability). 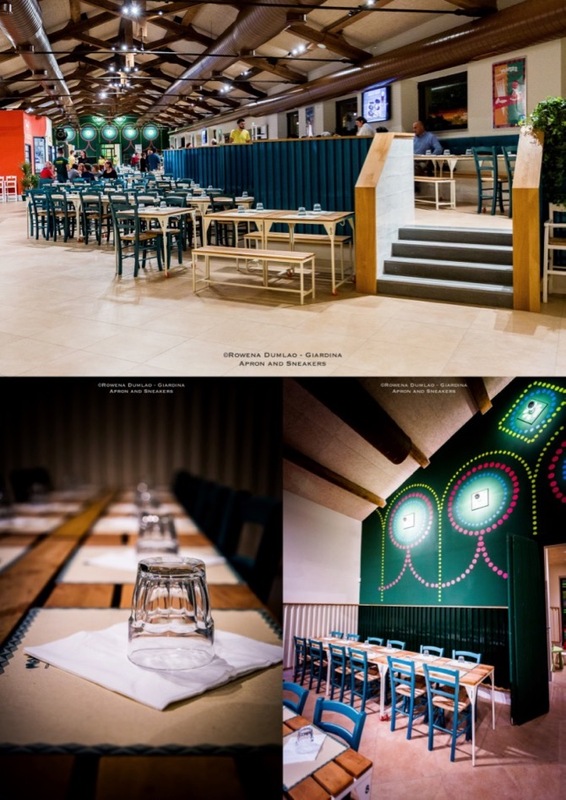 Having two vast areas indoors with a natural division (left and right of the main entrance), families with children can relax and stay closer to their children close to the play area while at the other end of the restaurant, adults without kids can enjoy dining in peace too. 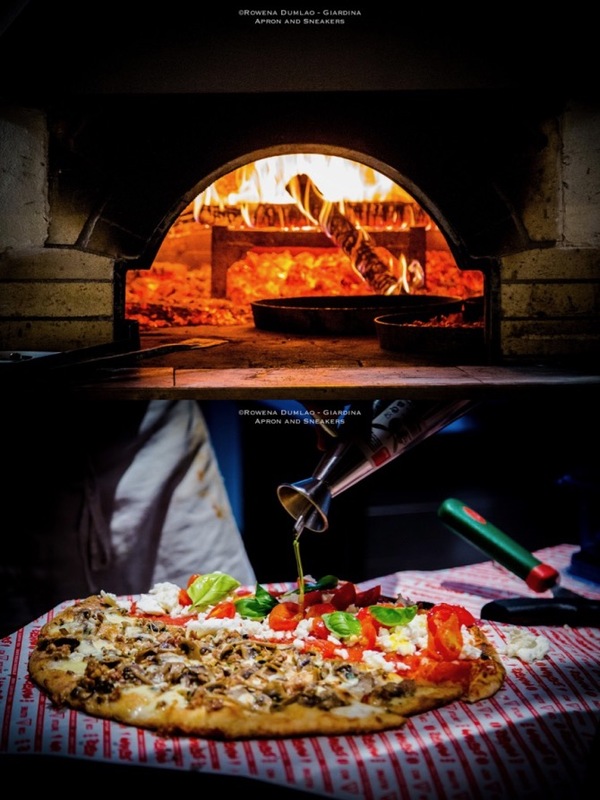 So if you are a group of friends and want to enjoy a quiet night with good pizza, burgers and bruschette with craft beer, you will have your own space among adults. What used to be old barn was meticulously restored by architect and co-owner Valeria Bortolan along with Stefano Bugoni another co-owner and engineer. 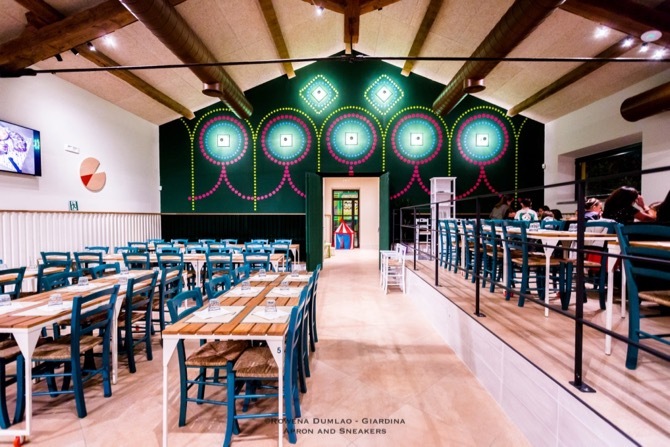 The restoration of the large space was conceived to allot spaces large outdoor and indoor seating and separate food laboratories: pizzeria, bruschetteria, and gluten-free cuisine. 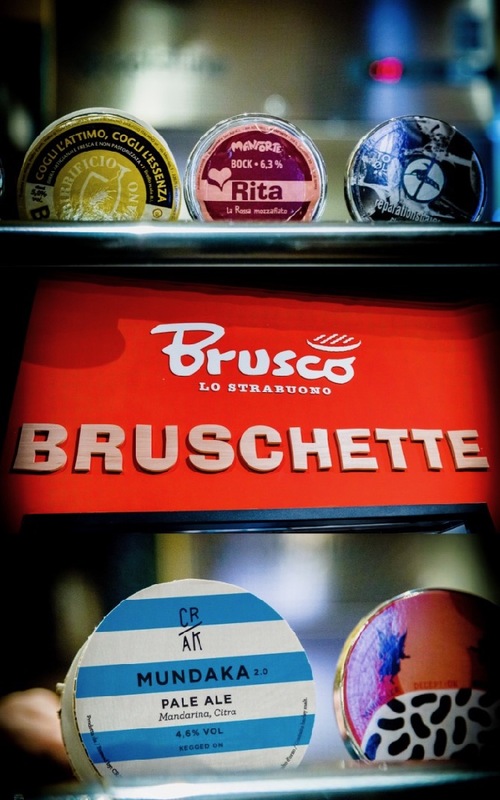 The bruschetteria is carried by Brusco, an existing shop in Trastevere, as the inventors of Brusco are also co-owners of Manforte. And most importantly, people who require celiac diet are most welcome because Manforte has a separate food lab dedicated just for the preparation of gluten-free food. Almost all the menu entries are also available in gluten-free versions (unless indicated). 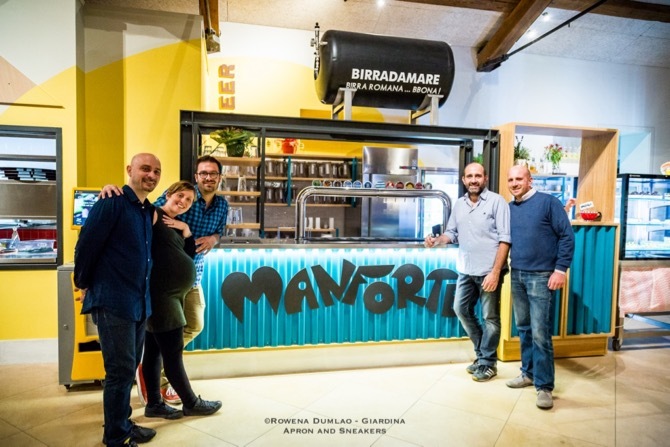 The idea of sociality is not only reflected in the spaces provided by Manforte but also with the gastronomic proposals created by their chef, Alessandro Bursi. At Manforte, you use your hands in eating. The burgers and bruschette are naturally eaten with the hands anyway while the pizza is served on the table already sliced. For the beverage, there is an availability of twelve kinds of craft beer which originate from different parts of the world that are also available for take-away. 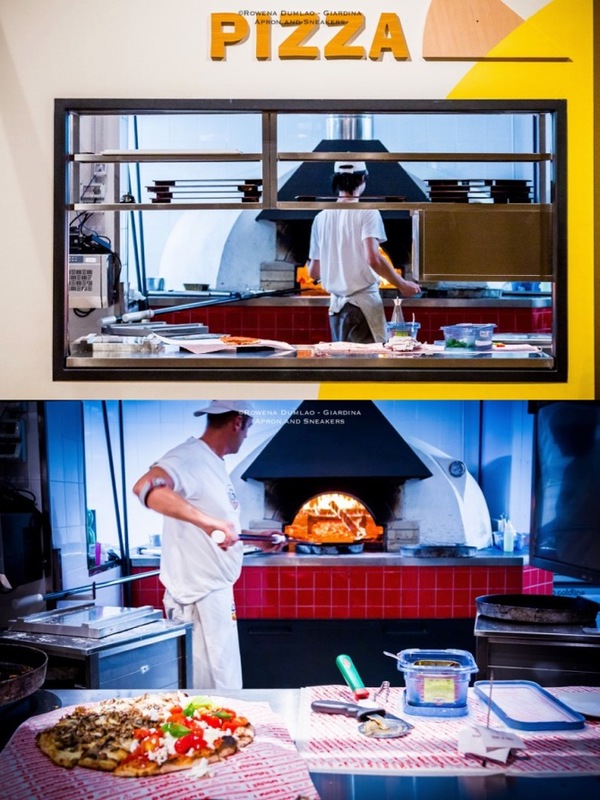 The pizza goes through a prolonged natural leavening and cooked in a special wood oven that keep its aromas and crispiness. Classic combinations like Margherita, Napoli, Ortolana, or 4 Formaggi are available as well as new combinations of Italian flavors. 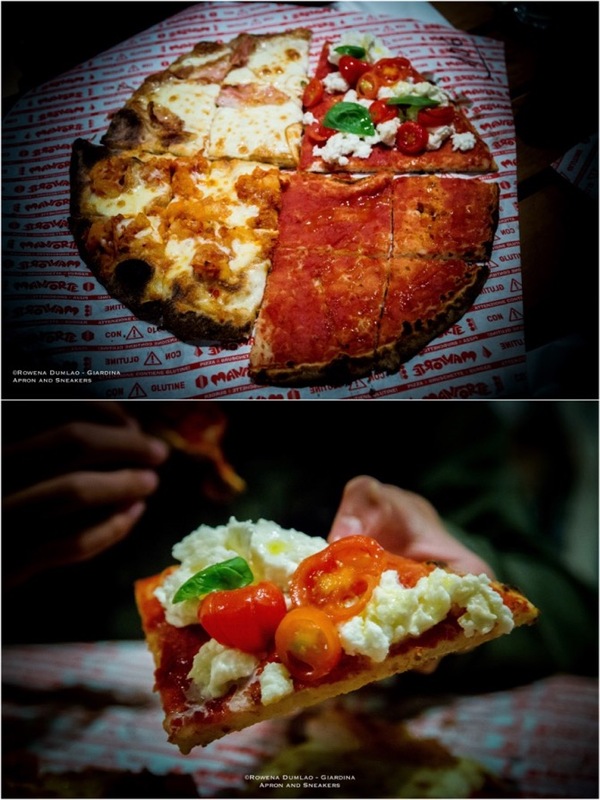 There is a possibility to order different combinations on one pizza with a maximum of two in the half teglia (good for one person) or four combinations in a full teglia (good for two persons). Manforte only uses good quality ingredients in all their food especially the burgers. The meat used is 100% Italian scottona (female cow between 15 - 22 months old). 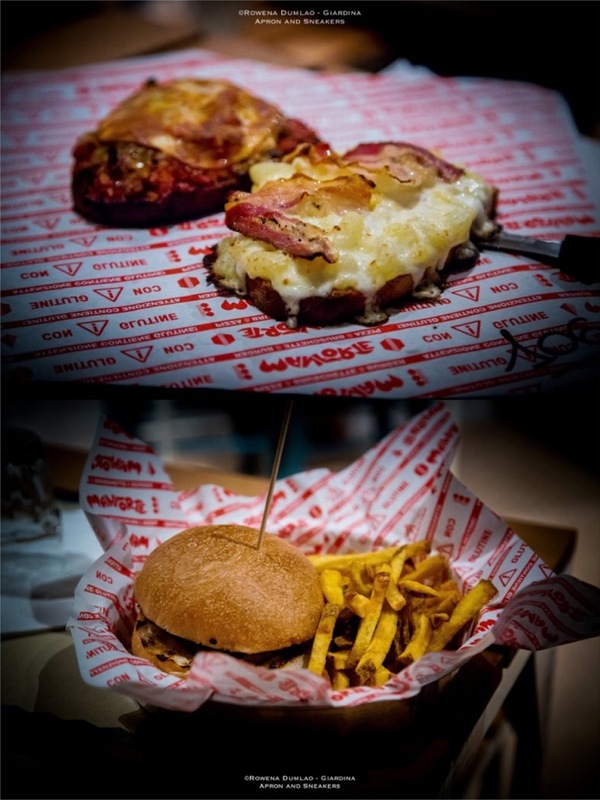 There's a good selection but you may want to try the Ovoburger (180 grams hamburger, salad, tomato, bismarck egg, crispy pancetta and green sauce) or the Italiano (180 grams hamburger, grilled mortadella, baked tomato, smoked Provola cheese and pistachios). They also have a vegetarian option for the non-meat lovers. The burgers are accompanied by potato chips with, get this, an array of sauces that you can choose from. Rosemary, ginger, taggiasche olives, lime and black pepper, cacio e pepe, and spicy marinara. 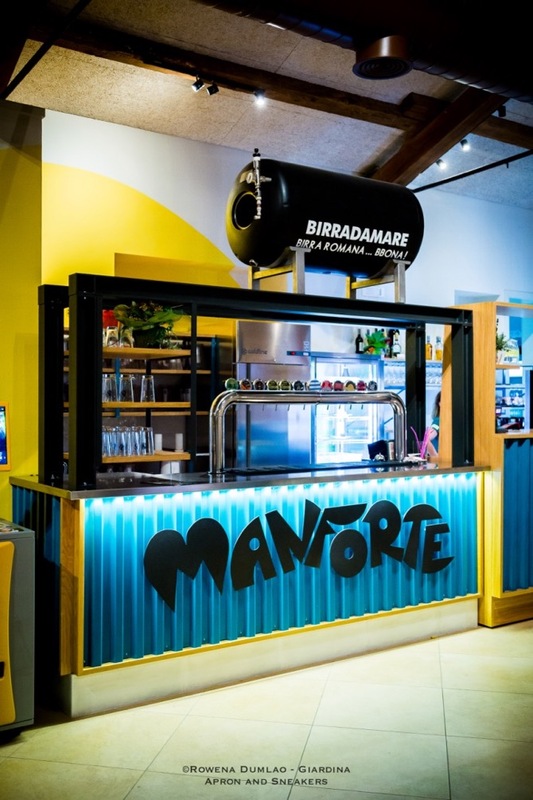 Kids are well considered at Manforte and they have their own menu with choices of a smaller hamburger or chicken and turkey hotdog sandwich, both options with potatoes, and dessert. 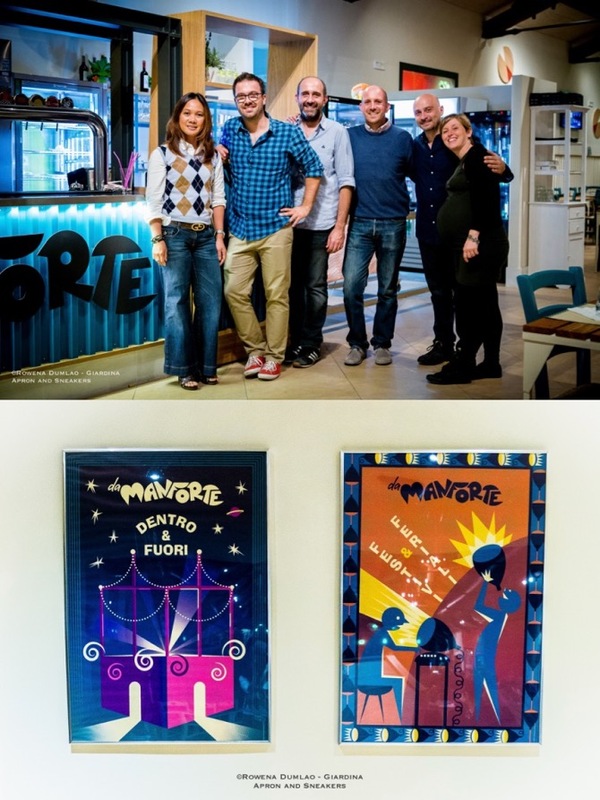 Manforte is a place where social eating is encouraged with all kinds of diners, big and small, where food speaks of good quality at affordable prices. It's a place for all of us who care about the quality of what ends up on our tables. It's also a place where we can let our hair down, and enjoy what casual eating is all about. 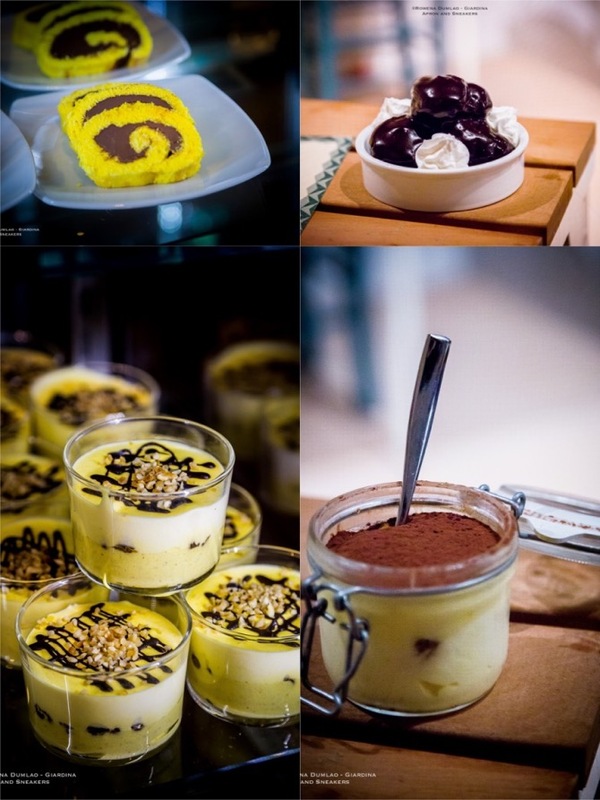 Happy First Birthday, Mercato Centrale Roma!